Pokemon Platinum for the Nintendo DS is a Generation IV title that acts as the 'third' or sister title to Pokémon Diamond and Pearl. Like most third game Pokémon setups the gameplay is largely similar to that of it's sister games but contains enhancements and new features. Of particular note would be the introduction of the Distortion World and an update of the local Sinnoh Pokédex. 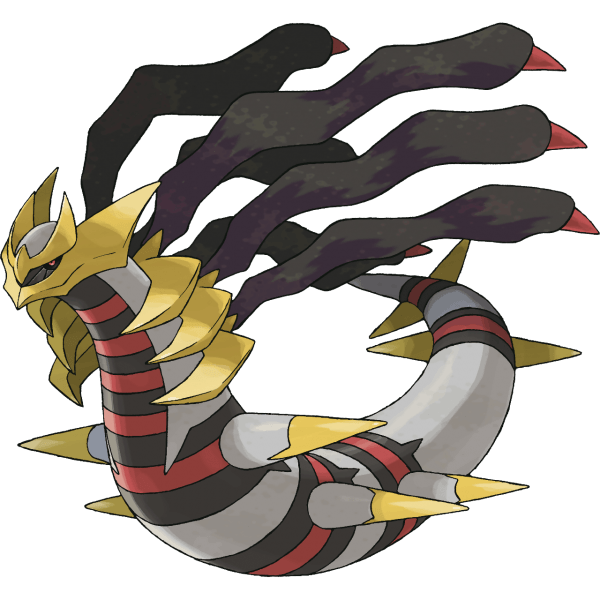 The Legendary mascot for Pokémon Platinum is Giratina who is a ghost/dragon type Pokémon. The first the world saw of Pokémon Platinum was when a leaked cellphone image from a yet-to-be-released issue of CoroCoro magazine got circulated around the internet on the 11th of May 2008; four days later that issue of CoroCoro was officially released and on that same day (May 14th) Nintendo officially announced Platinum as the next title in the Pokémon series for the Nintendo DS. Later that same year Platinum had it's initial release in Japan which came on September 13th, 2008 then in the U.S on March 22nd, 2009, Australia on May 14th, 2009, Europe on May 22nd, 2009 and finally in South Korea on July 2nd, 2009. Barry picks the type advantage Pokémon and changes from Best friend to Rival! As expected they battle and after the battle they go to Lake Verity where they meet Cyrus, once they go back to Twinleaf the player Mom would give them a pair of Running Shoes so the player can Dash into Sandgem Town. 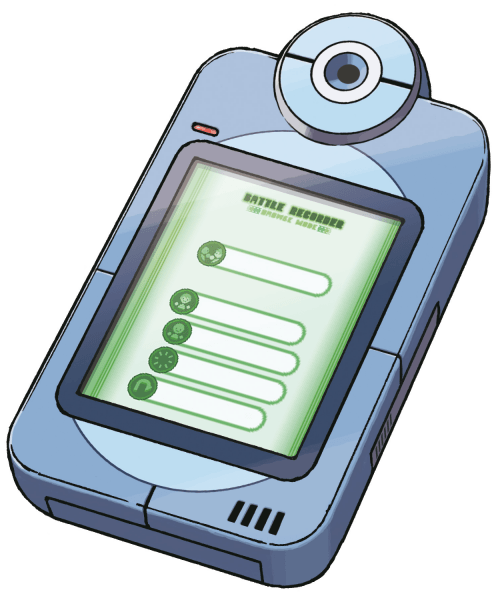 Rowan give the player a Pokedex and their journey starts right away, exploring Sinnoh in order to defeat all the Gym Leaders to earn the right to challenge the Elite Four thus becoming the Champion of Sinnoh after defeating them. Team Galactic is on the lookout though, Cyrus its leader, is trying to overwhelm Sinnoh with the power of Dialga and Palkia, however Uxie, Mespirit and Azelf appear and Giratina pulls Cyrus down to the Distortion World, facing Cyrus, the player is then forced to battle Giratina. After defeating the Elite Four, the player has many things to do, such as expanding their Pokedex by getting Pokémon that were previously unavailable, the use of the Poke Radar, exploration of the Fight, Survival and Resort areas, and the Mighty Tall Battle Tower where the player will be exposed to harder battles. Looker will be on the lookout back to ask the player for help to Arrest Charon and put a stop to Team Galactics plans once and for all. Pokémon Platinum introduces various changes and additions, similar to all the third games of each generation. These changes and new features are applied to the graphics, sounds, plot, gameplay and areas. The most notable feature would be that the Pokémon back sprites are now animated, when they enter combat. The front sprites for the fourth generation Pokémon also received a few tweaks. While on the title screen, Giratina's cry will be played as the player presses the start button. The player's characters and their friend have a visual update, as they now wear winter clothes since the climate in Sinnoh changed. The theme soundtrack of Mystery Gift that was once shared with Pokémon Leaf Green and Fire Red was changed to a new unique one. Some trainers now use Seal on their Poké Balls. These Seals display a special effect when a Pokémon comes out of the Ball. The Pokétech, Pal Pad and Battle menu have all been redesigned. Several moves animations have been updated to look smoother and faster. Few Pokémon trainers as the Gym Leader gained animated sprites. As the game starts, the show the player sees on the television will be about Professor Rowan's return from Kanto. They'll will then meet the Professor Rowan on route 201, while they were trying to go to Sandgem Town accompanied with their rival. Professor Rowan will offer each of them a starter and they'll battle together, with this being the very first battle in game. A new commander have been added to the Team Galactic executives. He's named Charon and have the look of a researcher or a professor, unlike the other three commanders. Charon will appear many times throughout the story, with the most important appearance being when he took control of Stark Mountain with the help of Team Galactic grunts. This resulted in his defeat by the player and arrest by the added policeman character, Looker. As mentioned earlier, Looker is the second character introduced to the game plot, as he tries to spy on Team Galactic and aims to arrest them. Team Galactic's Leader, Cyrus, will be met early at the beginnings of the game, in Lake Verity. The player will tag with their rival in a Double Battle against Volkner and Flint. All of the trio of creations will appear on the Spear Pillar. The player now can own a Villa, once they visit the Resort Area, which they can decorate in a similar manner to the third generation's Secret Base. Some NPCs, including the player's mom, the Professor Rowan and the Gym Leaders from Sinnoh, will occasionally visit it. The Gyms will now feature Pokémon in their specialty only. The Distortion World area is introduced in Platinum. It's a very unique place that doesn't abide by the laws of physics, and it's where the player will fight Giratina. The Battle Park feature of Pokémon Diamond and Pearl, is now replaced with the Battle Frontier, which once appeared on Pokémon Emerald. The Battle Frontier includes five facilities in which the player can test their skills, and they are: the Battle Factory, the Battle Tower, the Battle Castle, the Battle Arcade and the Battle Hall. There are also Battle Shops, where the player can exchange the points earned against different rewards. A new building has been added to the Survival Area where the player can battle different characters daily. The available opponents may include the Gym Leaders and the Double Battle Partners of the player along the story. A new Wi-Fi function has been added, where the player can interact and play up to 20 different mini games, with random people on the net. Several areas have been tweaked, whether slightly or completely, like the Amity Square that now holds Warp Panels within its building and has a new pond, levels and paths. The Spear Pillar got enlarged, as all the three legendaries, Dialga, Palkia and Giratina would appear there, thus, requiring more space. The VS. Recorder, is another new implementation to the game, which allows the player to record their battles online and share them with other players. Both Palkia and Dialga can be summoned and caught. To do so, the player will require the Adamant Orb and the Lustroous Orb. These can found in a cave, in the snowfields area of Mt. Coronet, instead of being found on the Spear Pillar. The player's Rival can now be re-battled at the Survival Area, with their Pokémon getting stronger every time. Having an even Trainer ID will now allow the player to find Armor Fossils in the underground, while an odd one allows Skull Fossils to be found. An e-mail feature has been added to the Global Trade System (GTS), allowing the player to receive a notification, once a trade request is found. Few gyms got their layout changed, with the Hearthome City Gym having a mazes now, and the Veilstone City Gym incorporating puzzles. Similarly to Pokémon Diamond and Pearl, the game features the Pokémon up to the fourth generation, with the addition of 59 to the Sinnoh Pokédex, which now counts 210 Pokémon that the player needs to encounter, in order to unlock the National Pokédex. Moreover, Pokémon Platinum also has Pokémon which are exclusive to it along with the addition of new forms to few special Pokémon. The Swarm and Roaming Pokémon features are still available, with a change to the roaming ones. Last but not least, the game mascots of Diamond and Pearl, along with Giratina, can all be captured, with the addition of few other legendaries. 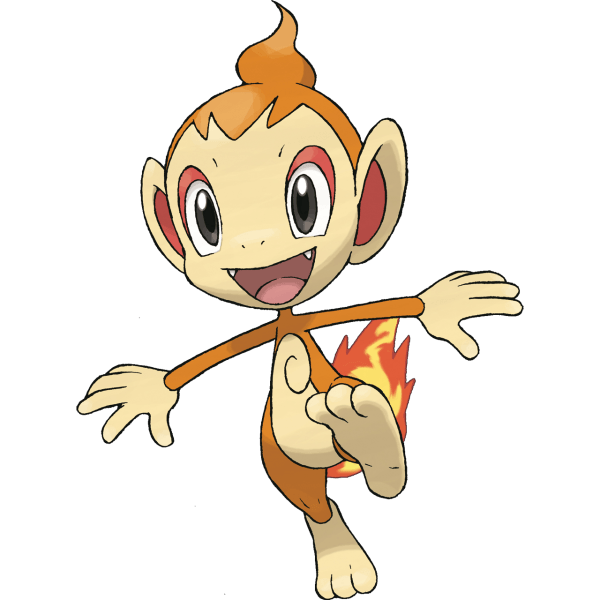 Pokémon exclusive to Platinum: In the fourth generation main games, these Pokémon can only be obtained in Pokémon Platinum. New Pokémon forms: The forms concept allows the Pokémon to change their visual appearance, abilities, skills and even their stats. Rotom Rotom has now five new forms, that can only be unlocked with the help of a Secret Key obtained through an event. If the player manages to get it, they can head to the Team Galactic Hideout in Eterna. There, they can use the key to unlock a secret room containing five facilities Rotom can possess to gain a new form. The facilities are a Fridge, a Washing Machine, a Lawn Mower, a Fan and an Oven, and they change Rotom's form respectively to Frost Rotom, Wash Rotom, Mow Rotom, Fan Rotom and Heat Rotom. Each of the forms allows Rotom to learn a new powerful special attack, that will only be preserved as long as it stays in that form. Shifting to another one, will force Rotom to forget the skill and learn a new one from the respective form. The Pokémon can also be returned to its original form by reselecting the place where the appliance it possessed once was. Shaymin Shaymin has a new form, known as the Sky Forme. It can only be obtained by showing Shaymin to a character in Floaroma Town, who'll give the player the Gracidea Flower. Using the flower on Shaymin, will transform it into Sky Forme granting it the Flying Type and changing its ability to Serene Grace. This form though, can only be used during daylight, As Shaymin will revert to its normal form during the night and lose the extra stats and type. Giratina The Origin Forme, is Giratina's new form. 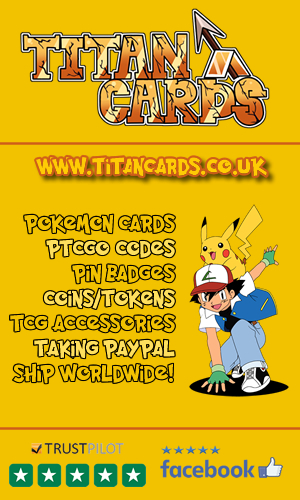 It can be obtained by attaching the Griseous Orb to Giratina. This will also change its ability to Levitate and change its stats. Roaming Pokémon: These are the legendaries that start roaming the Sinnoh map, after their respective events are triggered. They will be encountered randomly in the tall grass. Cresselia Upon unlocking the National Pokédex, the player can travel to Full Moon Island from Canalave City. There they'll encounter Cresselia, that will fly away and start roaming the tall grass across the region. Mesprit Mesprit will be available at Lake Verity, after the fight with Giratina. Yet, it will fly away once the player talks to it and starts romaing random areas of the region, in the tall grass. Moltres Once the player gets the National Pokédex and have already been to the Pal Park. They have to talk to Professor Oak in Eterna, who'll inform them that the three legendary birds started roaming the region and will appear on the Marking Map. 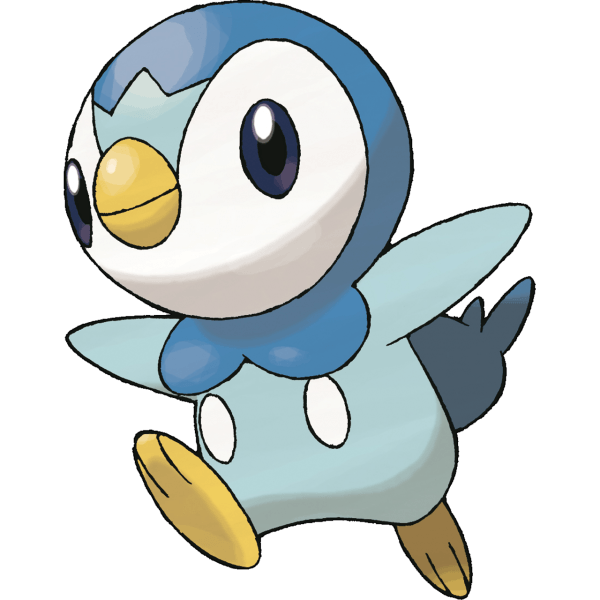 Tradable Pokémon: The list of the Pokémon acquired through in game trade is still the same as Pokémon Diamond and Pokémon Pearl. Swarm Pokémon: Similar to Pokémon Diamond and Pearl, the player can talk to their rival's sister in Platinum, who'll inform them, each day, of a different Pokémon swarming a certain area. These Pokémon can only be captured in game through this method. The Swarm Pokémon are still the same of the previous versions. 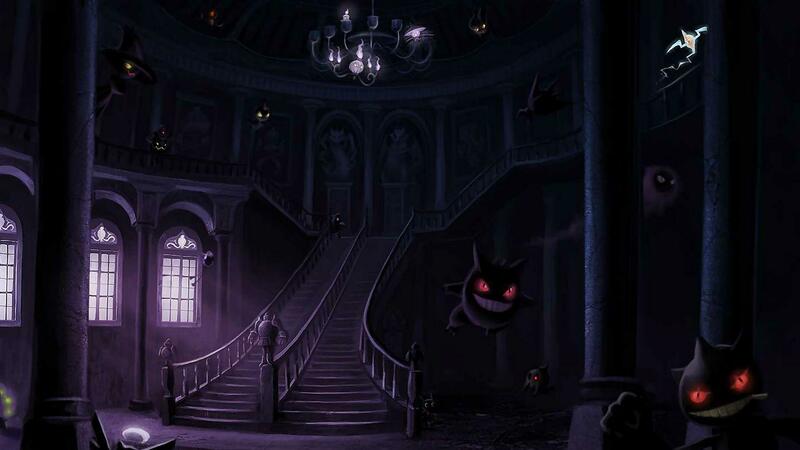 Mansion Pokémon: The unique Pokémon that can only be obtained at the Mansion on the route 212. The Pokémon available and the process used to acquire them are still the same as Diamond and Pearl. Pokémon Platinum is compatible to all the third and fourth generation Pokémon games. Inserting the GBA game to the GBA Slot in the Nintendo DS, while having Pokémon Platinum on, allows it to trade with games such as Pokémon Emerald, Sapphire, Ruby, Leaf Green and Fire Red. 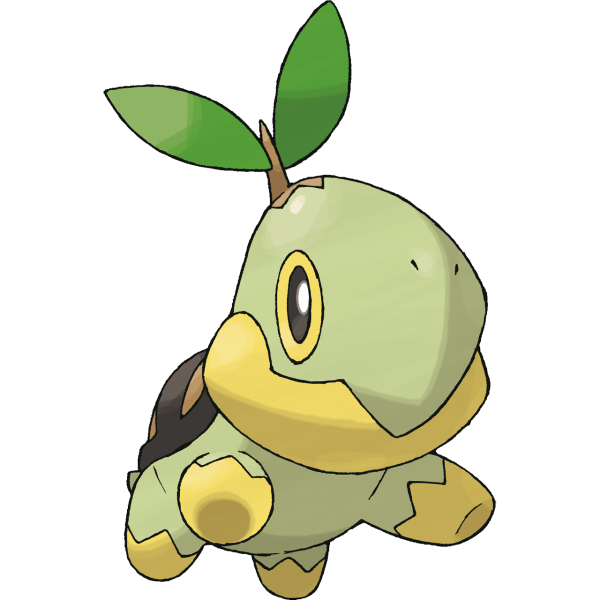 The trade, though, goes only in one way, as the Pokémon can only be transported from the third generation games to Platinum, while the opposite process is impossible. As for the fourth generation games, Platinum will automatically connect to Pokémon Pearl, Diamond, HeartGold and SoulSilver allowing the transfer of Pokémon from and to the games. It is important to note that, if the player trades one of the unique Pokémon, while they're in their new forms featured in Platinum, they'll revert to their normal ones, in games like Diamond and Pearl. Furthermore, and just like the previous versions, the game can be linked to the Pokémon Battle Revolution series on Wii, yet, only its Japanese edition can connect to My Pokémon Ranch. Check out these Pokémon Platinum videos including the intro video, the USA launch commercial and the current speed run world record video. In the Pokemon Platinum instruction booklet it says "there are 493 Pokémon to be discovered." 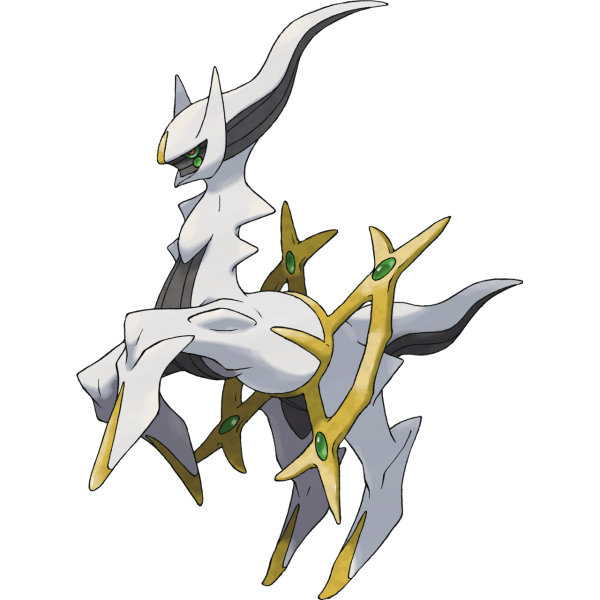 - this was a bit of advance planning as Arceus, Pokemon #493 hadn't been revealed yet when Platinum came out. Platinum contains the first Pokemon match with an NPC that takes place in a Pokémon center. The audio system you can obtain in the resort area at the Villa plays Lilycove City's theme music (from the Ruby and Sapphire versions). Due to over the top legislation from the EU in regards to gambling, European versions of Platinum have had 'slot machines' replaced with 'game machines'. In non-EU versions of the games you have to play slot machines to obtain TM64, whereas in the European versions you may be rewarded with the TM when you speak to the receptionist in the game corner. Pokémon Platinum sold a total of 7.6 million units, netting over 372 million USD worth of sales. In Japan Pokémon Platinum was creditted for invigorating sales of the Nintendo DS console in September 2008, after selling over a million copies there in just three days. This made Platinum the fastest selling videogame in Japan at the time, a further 315,000 units were sold in the second week bringing the total to 1.3 million copies in just 9 days in Japan. Other successful sales weeks for Platinum following the post-release rush included a week where 195,000 units were sold ranking it the best seller for that week, and another where 122,000 sales ranked it the second best selling title of that week. By October 23rd of that year Platinum's sales totalled around 1.75 million in Japan, making it the second best selling game of the year at the time. By Christmas that year Pokémon Platinum had sold more than 2.12 million units in Japan. In the United States, Platinum placed 2nd in the top 10 best selling videogames charts in the U.S after selling more than 805,000 units between the 22nd of March and the 4th of April. At the end of March it had become the second best selling Nintendo DS game at the time, and held onto that second place throughout April and May. At the end of June Platinum still held a respectible 4th place in the top 10 and even into July stood strong in 5th. More than 2 million units of Pokémon Platinum were sold in 2009 making it the 10th best selling game in the USA for the year. 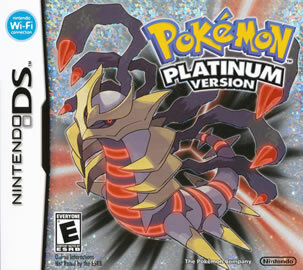 In the UK Pokemon Platinum enjoyed an initial rush of sales which resulted in it being the second best selling DS title for the week ending June 11th, 2009. The following week however sales abrubtly dropped and at the week ending 20th, 2009 Platinum had fallen out of the UK's top 10, although sales did pick back up in July with Platinum being the second best, and then the 4th best selling DS game for the first 2 weeks of July respectively. By the end of March 2010 global sales totalled 7.6 million. Whilst generally Platinum wasn't QUITE as well recieved as it's sister games; Diamond and Pearl it's reception was still generally positive. Where Diamond and Pearl sit at scores of 85%/85.07% on the aggregate sites, Platinum is only just behind at 84% and 83.14% on Metacritic and GameRankings respectively. Craig Harris from IGN scored Platinum 8/10 and added "for those who haven't jumped into the Pokemon adventure yet, Platinum is the one to back. 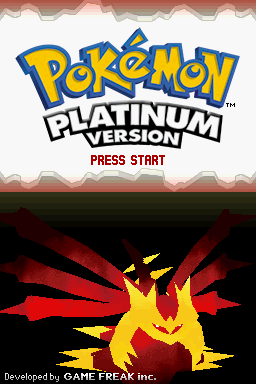 Even though it's not a huge advancement over Diamond and Pearl"
GameSpot's Shiva Stella scored Platinum 8 out of 10 commented "Pokemon Platinum's gameplay is much more refined than that of its predecessors, Diamond and Pearl. The focus is still on classic, addictive battling, but Platinum also incorporates several new areas and an impressive array of subtle changes, making it the best of the bunch despite heavily recycled content." Nintendo Power Magazine scored the games 9 out of 10 and quoted "everything a Pokemon experience should be, and more", but their review is unfortunately lost the histories of the intraweb.